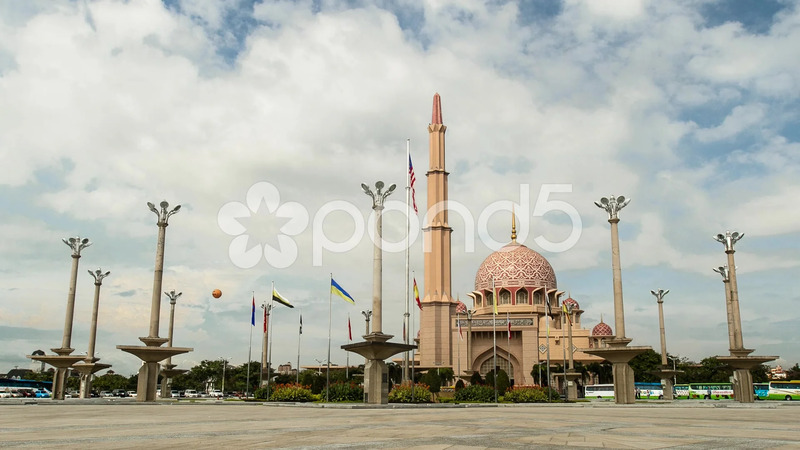 Description: A timelapse of Putra Mosque in Putrajaya, Malaysia. Tourists with umbrellas, waving flags and a big pink mosque are clearly visible in the footage. Beautiful cloud movements and architecture of the mosque can also be appreciated.